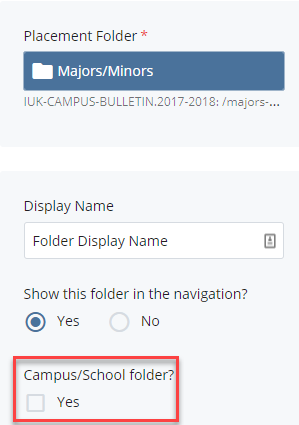 Navigate to the Parent folder where the Course Folder will be located and click into the folder. 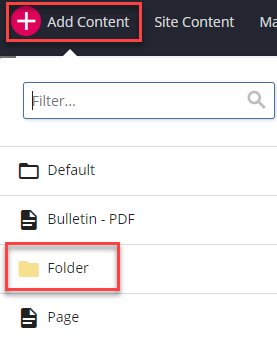 Go to Add Content >> Folder. 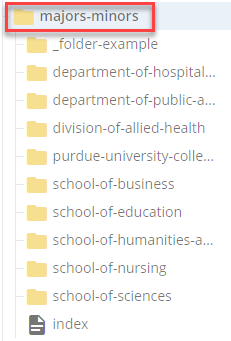 Under the Metadata tab, select the Placement Folder (parent folder) for the new course folder. Give the folder a Display Name. The WCMS will take the Display Name and use that value for the folder’s Page Name (System Name) by making all words lowercase and replacing spaces with hyphens. Example: A folder with the Display Name of Human Biology will have the Page Name of human-biology. 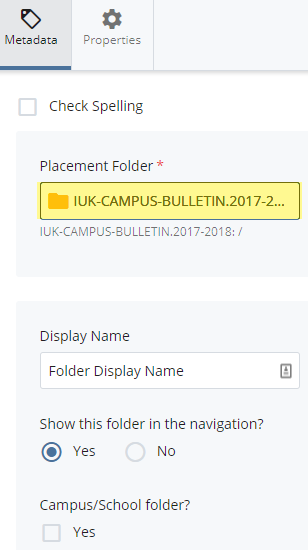 In the Summary field, enter any general information that you want listed for that folder. 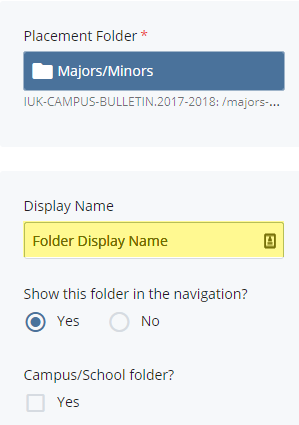 If you are creating a folder for a Campus or School, check Yes. Click Save & Preview to save a draft. 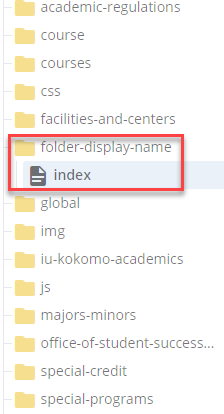 Click Submit for the new folder to display in the folder tree.